Think lean and hone your strategy! The Unleashing Innovation in Operational Excellence Summit on 27 & 28 June brings together industry leaders, experts, VPs, and CxOs to discuss the latest innovations in: Continuous Improvement, Agile and Lean Transformation, Process Automation, Six Sigma and many more. When the global environment is changing faster than ever, companies and business leaders are forced to overcome new challenges every day in order to succeed. Cultural change and continuous improvement go hand-in-hand on the path to achieving sustainable operational excellence. Smart use of the Lean philosophy will help you differentiate yourself from your competitors. This programme will teach you the meaning of operational excellence and how to effectively use the tools and methodologies to create value for your organisation. It is crucial to have practical insights to revolutionise your manufacturing processes, increase employee engagement, implement the best upcoming tech and uncover essential insights into Industry 4.0, Data and Lean to improve your productivity and efficiency. Our summit is made up of innovative learning and networking opportunities that keep even the most senior business leaders engaged. This event boasts an intimate environment that creates connections which become long-term partnerships. You will experience inspiring keynote addresses, in-depth case studies, structured networking and interactive discussion groups! At our summits you will gain knowledge on best practices through invaluable peer to peer interaction with senior executives from all over the world. Increase your professional network by immersing yourself in fruitful conversation and idea exchanges and play an important role in aiding others in their professional development by sharing your experiences and strategies. GEE summits are an opportunity to gain crucial knowledge on recent developments, case studies, methodologies, deployment tools, and ways they can be adapted to suit the unique profile of your company. 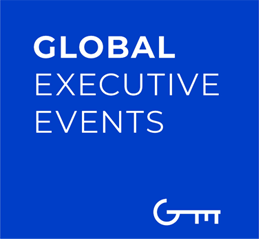 Global Executive Events is determined to provide top quality networking opportunities that boost your business performance. It’s among our objectives to help you spearhead change and forward-thinking while transforming expertise, technology, and innovation. This is an invitation to benefit from cross-sector learning, concentrated industry knowledge and build new relationships. Propel yourself and your company to new heights and register for our summits at https://www.globalexecutiveevents.com/.